Put an expert to line the windows to your soul. 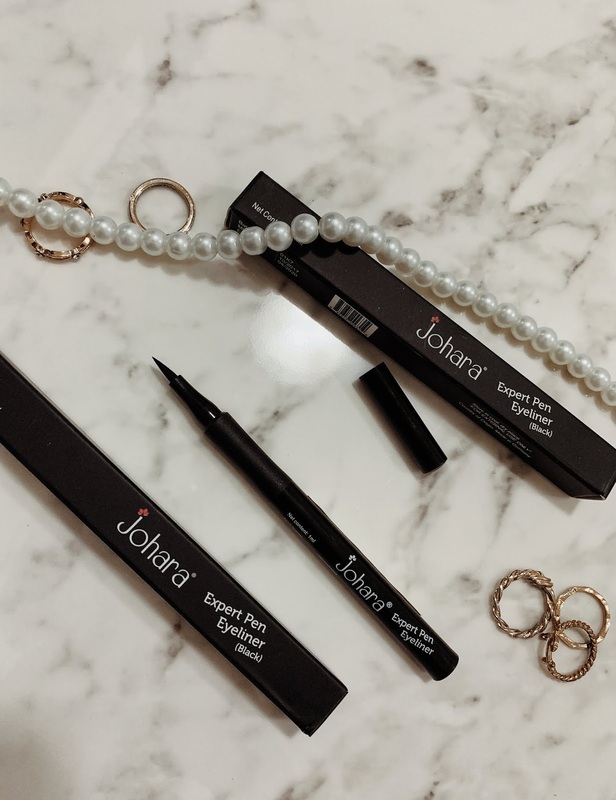 Johara Expert Pen Eyeliner has a unique pen formula that gives you oh-so-smooth and precise application, creating a highly pigmented, intense black line, that is quick-drying and non-feathering. Water, Butylene glycol, Styrene/ Acrylates/ Ammonium Methacrylate Copolymer, PEG-60 Hydrogenated Castor Oil, Coco- Glucoside, Citric Acid, Sodium Laureth-12 Sulfate, Ammonium Hydroxide, Phenoxyethanol, Potassium Sorbate, Sodium Benzoate, Iodopropynyl Butylcarbamate. 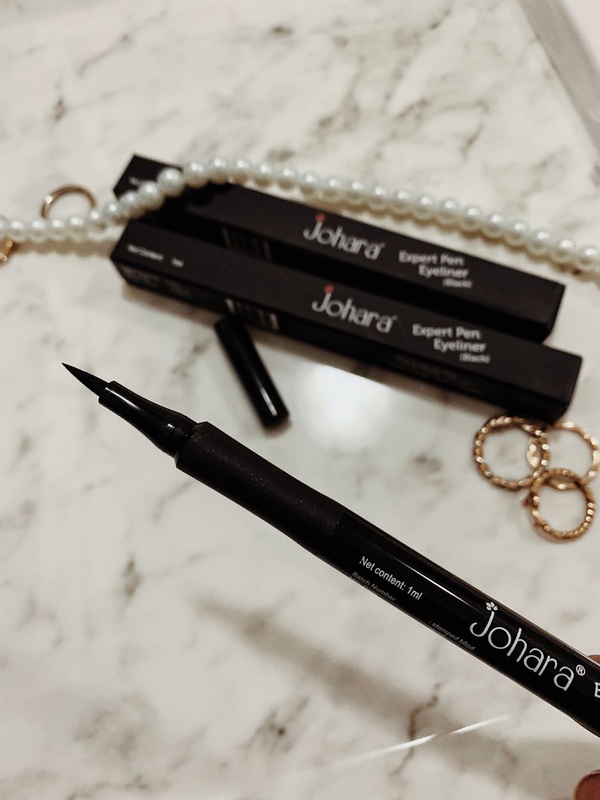 The Johara Pen Expert Eyeliner comes in a sturdy pen form which makes it easy to carry around while traveling. The non-slippery rubber grip makes it easy to hold and ensures a smooth application. The eyeliner comes in an intense black shade. 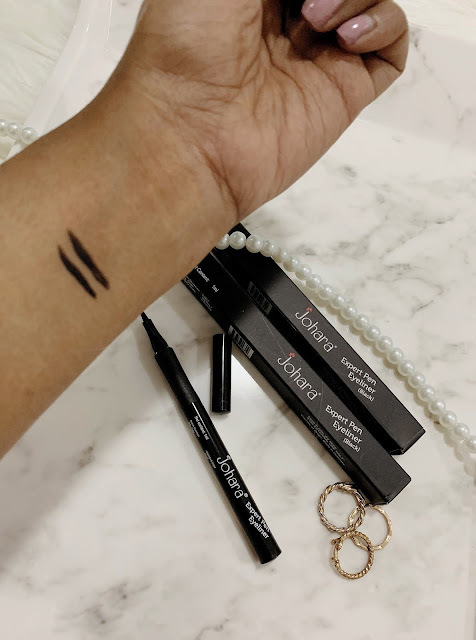 The unique tip of the eyeliner gives a precise finish. 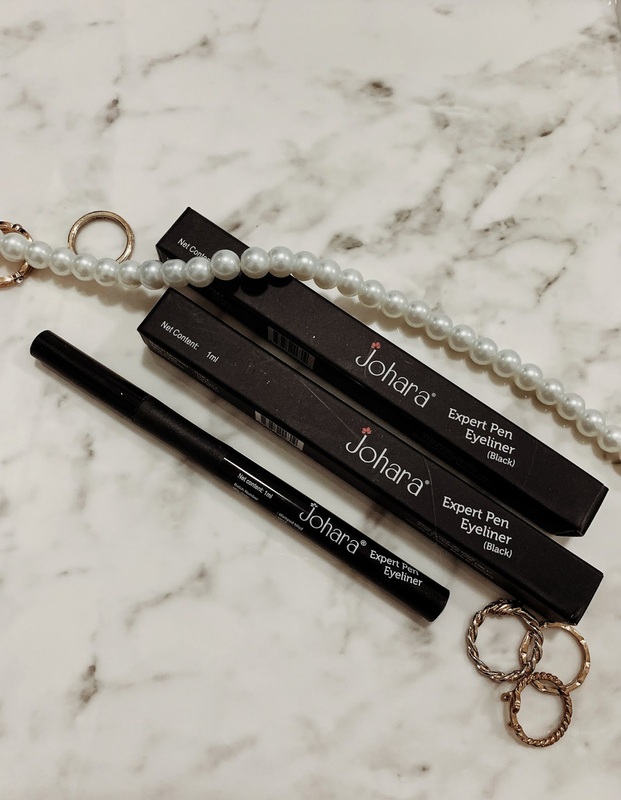 I love trying out different eyeliner shapes and Johara Pen Expert Eyeliner is my go-to eyeliner as it allows me to draw the thinnest line effortlessly. The pigmentation is pretty good, one stroke gives jet black color. Also, the eyeliner is smudge free and stays intact for good 10-12 hours. The smooth application and the long-lasting effect makes it a must-have product in your vanity. I would highly recommend this product to all pen eyeliner lovers.